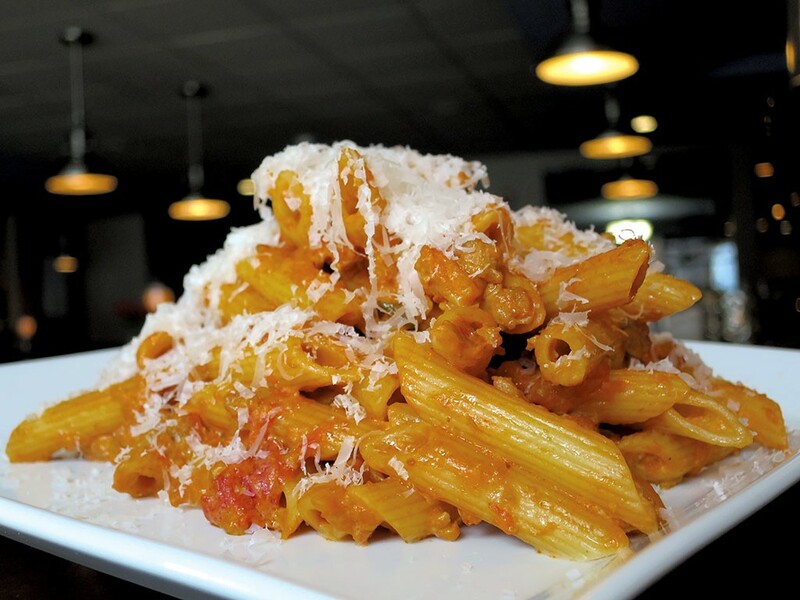 You can get a fantastic plate of Bolognese in Burlington, but there's a catch: It's only available one day a week. At Vin Bar & Shop, Wednesday is Penne Bolognese night, and for pasta lovers, it's a fine way to mangia midweek. Pasta expertise is nothing new from Vin owners Kevin and Kathi Cleary. For 12 years, the couple ran L'Amante Ristorante, the popular Italian eatery once located two doors away from Vin. After closing L'Amante last August, they turned their attention to the wine bar — their "retirement plan." Visit Vin in the evening, and you'll find dim lighting, soft background music and candles illuminating shelves of wine bottles behind the bar. The space is just large enough to miss the cozy mark, but it's still warm and inviting. Voices don't echo but rather blend into a mellow thrum that allows for easy conversation. Diners need not be intimidated by the wine list. It's a manageable size with helpful explanations, and sample-size portions are available, encouraging drinkers to explore. For small plates, think beautiful Italian and Vermont cheeses and meats, piquillo peppers stuffed with goat cheese, and eggplant, olives and flatbreads. All of this makes for a comfortable place to chat over a glass of wine and some small bites. Or to devour a plate of Bolognese. On Wednesdays, Kevin Cleary trades the panini press on his small counter for an induction burner. It fits just one, and there's no room to boil water, so he prepares batches of pasta in the afternoon for evening meals. The Bolognese sauce is also made ahead of time; it takes Cleary about four hours to prepare, and he portions everything out to be warmed up later per order. When I stopped in for Bolognese night, Cleary poured me a glass of 2012 Arnaldo-Caprai Montefalco Rosso that we chose to match the pasta. He pulled out a deli container of the sauce and, after transferring it to the pan, asked if I wanted bread. I munched on the crusty slice from Red Hen Baking while the chef continued, sprinkling just short of a wheel's worth of Parmesan into the pan. Next he added cream. The sauce sizzled, and the smell of tomatoes and cheese filled the room. At last, Cleary added the pasta and let the mixture heat for about a minute longer before setting the finished product in front of me. The first bite was divine. The pasta was perfectly al dente, the sauce meaty and rich. I understood why Cleary's longtime customers have been begging to see the Bolognese on Vin's regular menu. Cleary won't share the proportions and techniques for his Bolognese sauce. While some versions of the Italian classic are burdened with numerous herbs and competing flavors, his contains just a few herbs, lots of meat (veal, beef, pork and pancetta), a mirepoix heavy on the carrots, San Marzano tomatoes and garlic. 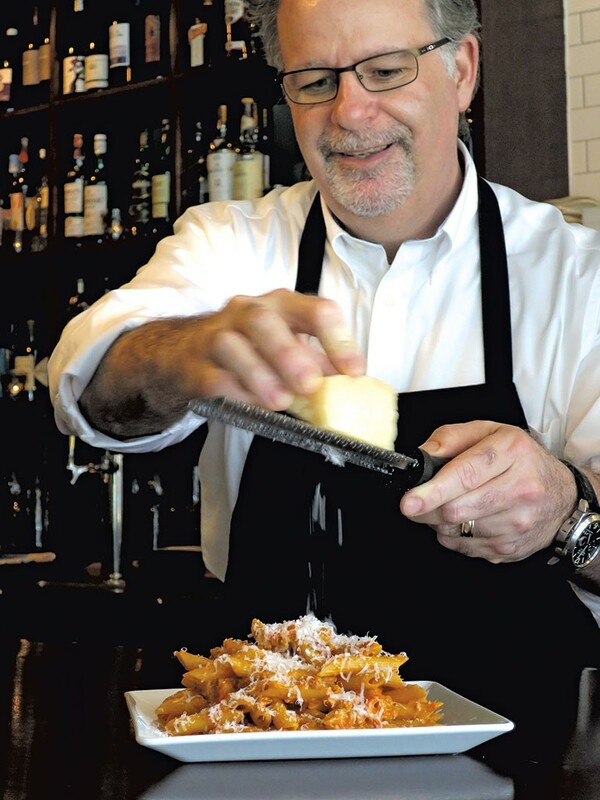 "Simplicity is best," says Cleary, who spent five months cooking in Italy when he was younger. Though mum about his recipe, Cleary did give advice on cooking the Italian way: "Find the best local ingredients, and high-quality imported items if you need them, and try not to mess them up!" For $13, Cleary serves up just enough pasta to make you want more, almost as if to say, I'll feed you what you desire, but make no mistake: This isn't going to turn into a full-service joint. Point taken, signor. But should you take the Bolognese off the menu, there might be a riot — or at least a crowd of hungry customers in revolt. For everyone's safety, please keep this once-a-week vestige of L'Amante alive.